CW-X Stabilityx tights reviewed – Kinesio tape technology in the form of tights – Ride. Write. Repeat. I recently had the pleasure of receiving a pair of CW-X Rainbow Stabilityx tights from High Octane sports. CW-X have been working with scientists at Wacoal Human Science Research Center in Kyoto, Japan, where they study kinesiology – the science of human movement. 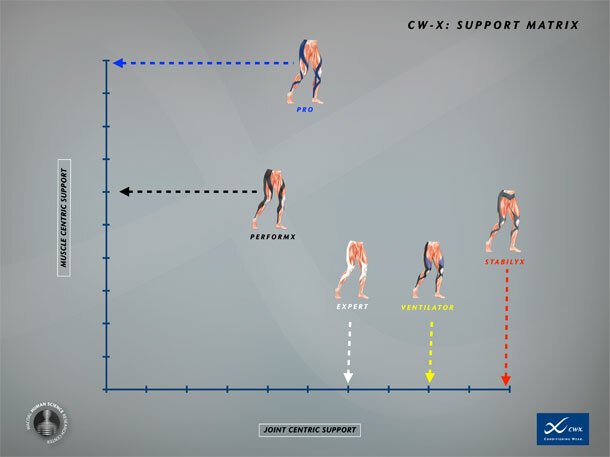 The resulting patented CW-X Support Web™ mimics techniques of kinesiology-taping used to apply to injured muscles, adding support and structure. Anyone who has read my post “Does K-Tape Work on a Bruise” (and interestingly, it’s one of the blogs that gets the highest search results) knows I’m all for k-tape. I have a tried and tested physiotherapist in Mr Krupa at Parkview Osteopaths in Reigate, and he’s all for K-tape. I’m not a scientist, but anecdotal evidence suggests to me that when it’s applied correctly – it works. Note – applied correctly, I don’t believe untrained individuals should be plastering themselves in duct tape – and I have seen this. 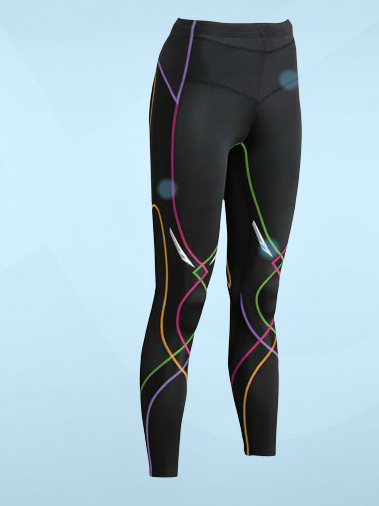 CW-X create tights that support muscles, and tights that support joints, at varying different levels. I chose the ‘Stabiityx’ version – designed to target key joints that requite a little extra help. The stability tights provide targeted support to the core and knees – and are said to be “ideal for runners, for activities with lateral motion”. The CW-X Support Web bands together the muscles and ligaments of the lower leg, to stabalize the knee, reducing vibration and thus increasing efficiency. 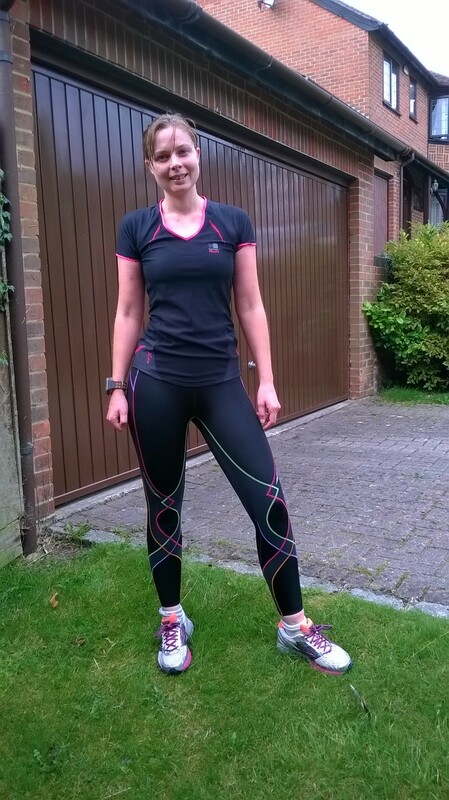 The ‘rainbow’ style criss-cross pattern around the knee and running up the IT band, then, doesn’t just look cool – it is actually a support network that works much like k-tape to give a little boost for a hard working body. The tights have a thick band of material around the waist, which is quite high, and this supports the lower abdominals, hips and back, helping that all important core work as it should. Compression technology also improves circulation. For those who don’t know the back-story, I’ve only quite recently got back into running. A lower back injury in 2012 halted all running, swimming and cycling for me for a couple of months, and once back to fitness I decided to stick with just cycling, until around July 2014 when my running feet started getting itchy. The core support appealed to me particularly. I’d always argue that there is no quick way to injury free running, hitting the gym to strengthen the core and being a bit lighter (only if achieved healthily) will almost always be the answer, but kit that works with your body to provide a little extra support seemed like a helpful extra chink in the armory against injury. I’ve worm compression tights and socks before. Compression fabric works by increasing blood flow, which helps reduce lactic build up – improving both performance and recovery. 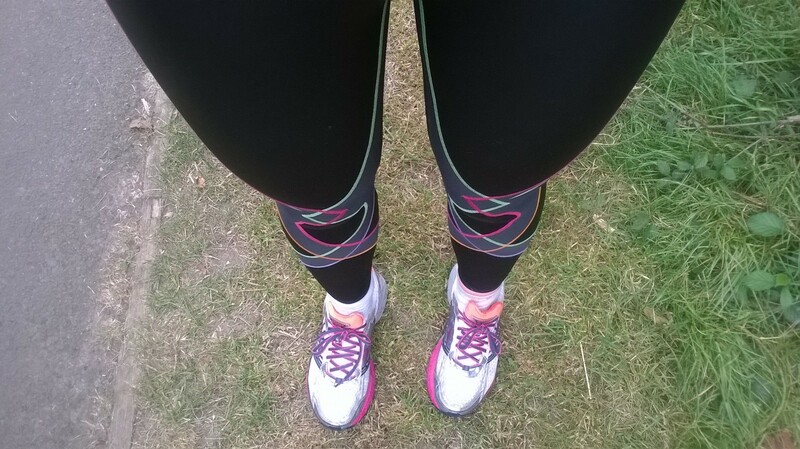 Stability tights however are entirely new to me – and they did feel decidedly different. The extra support means the tights seemed initially to be fairly heavy weight, thick material harnesses the muscles and wraps around them. The same way K-tape holds muscles into place, the tights offered this from waist to ankle. Support around the knees was noticeable, with reinforced material, and the IT band’s felt looked after by the seam running up to the hip. The waistband also felt firm but not restrictive. Support bands for ankles, knees and lower back that are designed to be worn separately, as opposed to being a part of clothing, are usually much stronger and thus can feel as though they limit movement, and the tights didn’t offer this level of stability. A specific and targeted band or support item is often used in the case of an injury, however, and these are more about prevention than cure. Across the calfs, quads and hamstrings, the material was much lighter – still tight and clearly offering a high degree of compression, but much less controlling. I’ll admit I had two key concerns on first pulling the tights on – firstly, that the material might be too restrictive, and secondly that they would be boil-in-a-bag warm in the current autumnal conditions. Both of my concerns where genuinely unfounded. From first steps the fabric moved with my body and I could forget the tights were there very easily. After wearing my rainbow tights for a yoga session, I found myself getting quite warm – and this did compound my concern that these were more appropriate for winter excursions. However, in the interest of a thorough test, I took them out for a few tempo runs and a long run, all between 10 C and 15 C – only to be pleasantly surprised. Once moving the tights were surprisingly breathable. Coolmax lycra is used, with EVRDRY technology to ensure that sweat is wicked away from the skin, and I wouldn’t expect to feel any sweat cooling and chilling me out too much on a good pair of tights – but it was the breathability that amazed me. I’m quite a warm bod – I know I should wear a base layer cycling, but I just get too hot – and I can run in vests most of the year – but I really was perfectly cool, calm and collected in these. 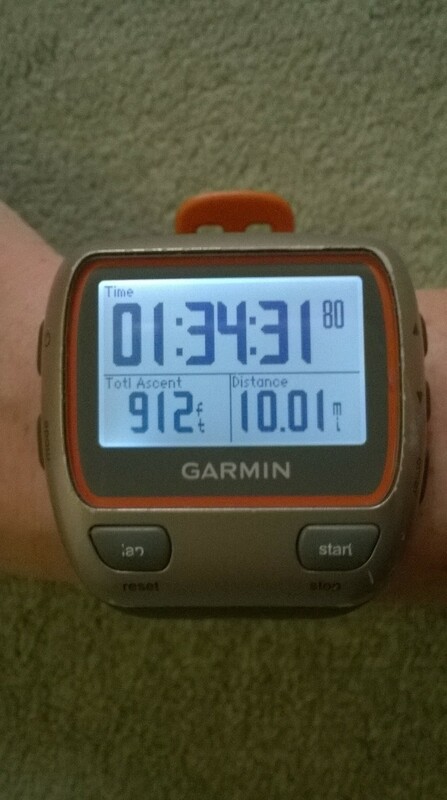 I did feel a little warm in the first 10 minutes as I warmed up, but once going strong I hardly noticed the tights. I did opt to wear them for tempo and long runs, and I’d be cautious of running hard intervals in them – I expect that might only be appropriate come November/December time, but I’d certainly give it a go then. My yoga instructor was very impressed with the tights – and they do look pretty rad – they’re attractive but I don’t think in an overly “pink” manor, which I like. And of course I also appreciate that the awesome looking design actually has quite a lot of science and research behind it. The tights have a drawstring waist so they can be pulled to fit, but they were tight enough that I didn’t use this. I went for a small, being about 5″6 and 57kg. Initially they felt a tad tight, but after a couple of squats and some wearing in they were bang on perfect. There is a small pocket for your keys – though I tend to run with an arm band with keys and phone so didn’t use this. You couldn’t fit a lot in there, but this is standard with running tights as obviously you don’t want a weight pulling them down. If you plan on running in the dark you’re covered with some reflective details front and back, but of course for true visibility, black isn’t really the best choice. I opted for these tights on a whim – they were offered to me and they looked cool – but after a little research and some testing, I’d wholeheartedly recommend them to anyone looking for a little extra support to help keep muscles working as they should and injury at bay. Available HERE – for £65.50, reduced from an RRP of £90. 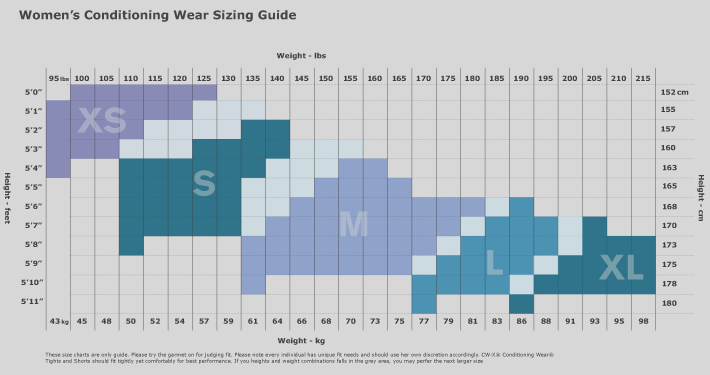 CW-X do clothing for running, yoga, winter sports as well as cycling and triathlon – they have a ‘support selector’ on their website to help you decide what’s right for you and your sport. Which tights did you like for IT band and hips?